Break out the elemental ammo and your most hideous sweater. 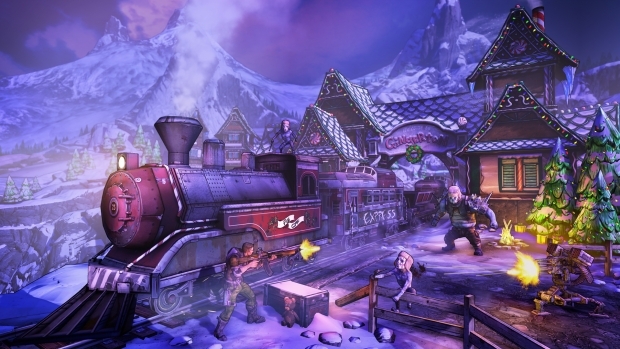 You have to respect Gearbox's commitment to honoring the holidays. Third up in the Borderlands 2 Headhunter DLC series is "How Marcus Saved Mercenary Day," launching December 17th for the modest price of $2.99. This follows up the previous Headhunter DLCs, "TK Baha's Bloody Harvest," for Halloween and "Horrible Hunger of the Ravenous Wattle Gobbler," for Thanksgiving. If there is a special day where you eat a truly disgusting amount and watch your uncle descend into a legendary state of intoxication, you can bet Gearbox is going to somehow incorporate guns. "How Marcus Saved Mercenary Day," takes place in a lovely little place called Gingerton, where a train packed full of Marcus' guns have gone missing. He enlists your aid and sends you off to get his guns back while blasting snowmen and festively dressed bandits (oddly enough, that's a Christmas tradition in my family). 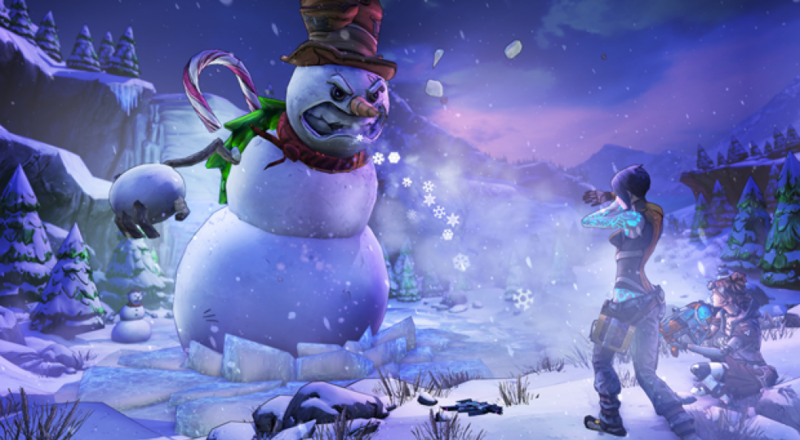 The DLC culminates in a battle against the Abominable Mister Tinder Snowflake, who is the meanest snowman of them all. Defeating Mister Tinder Snowflake grants festive cosmetic rewards. Each Vault Hunter gets a special snowman head (with a different expression for each class) and a unique holiday-themed skin for each character. I liken holiday DLC to watching something like It's a Wonderful Life when it's the season. Just a fun tradition that sets the mood and gets you psyched for that particular holiday. Personally, I'm looking forward to St. Patrick's day DLC, because I love Guinness, and also leprechauns are real jerks.